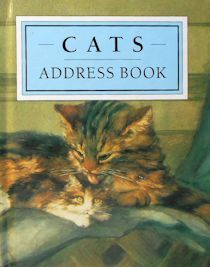 This little cats address book has room for 6 entries for each letter of the alphabet. The hard back book is 6 1/2" high x 4 5/8" wide. Image on the cover is called Mother and Kittens by Jacques Lehman. Previously owned but unused, new condition.